The public is invited to join the celebration that begins with a ribbon cutting ceremony by the Wayne County Area Chamber of Commerce at 6 p.m. The 900 block of East Main Street will be closed to traffic and guests may enjoy the first exhibition on display in the Room 912 Art Gallery, “Regional Impact: Faculty Work from the IU Regional Campuses,” tour the facility, listen to live music performed by IU East faculty and students, and visit our neighbor Ply Fiber Arts at 921 East Main Street, which will remain open and participate in the festivities. Visitors will also be able to watch the live carving of an ice-wolf sculpture outside of Room 912 at 6:30 p.m. that will help launch the Meltdown Ice Festival that will take place January 31 through February 1. 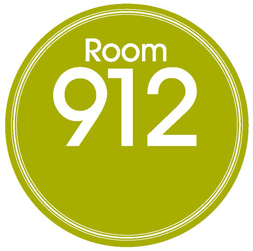 Room 912 is comprised of an art gallery, classroom, and studio space. IU East classes began in Room 912 on January 13, 2014 and the Richmond Art Museum will begin offering a few classes later this month. One such partnership is with the Richmond Art Museum that has been in need of space for daytime art classes. Kaylyn Flora, of Richmond, Ind., is a Fine Arts major at IU East. She said the expansion of IU East’s Fine Arts department into downtown Richmond is as significant to students as it is for the community. RAM classes begin on January 23 with an Adult Art Education class taught by Tom Butters. People may read more about this class as well of Taste of the Arts Tuesdays and Mommy or Daddy and Me: Child and Parent Art Classes at richmondartmuseum.org/education/#Room912 or by calling RAM at (765) 966-0256.